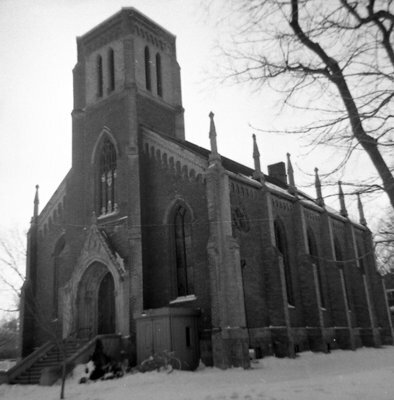 A black and white picture of St. Andrew's Presbyterian Church. St. Andrew's Presbyterian Church, February 5, 1966, Brian Winter. Archives A2013_004_151.